The World Bank’s flagship publication, Doing Business 2017: Going Beyond Efficiency, looks at the regulations that enhance or constrain business activity worldwide. In this year’s report, Trinidad and Tobago was among the 10 economies that improved the most in 2013/2014 in areas tracked by Doing Business. 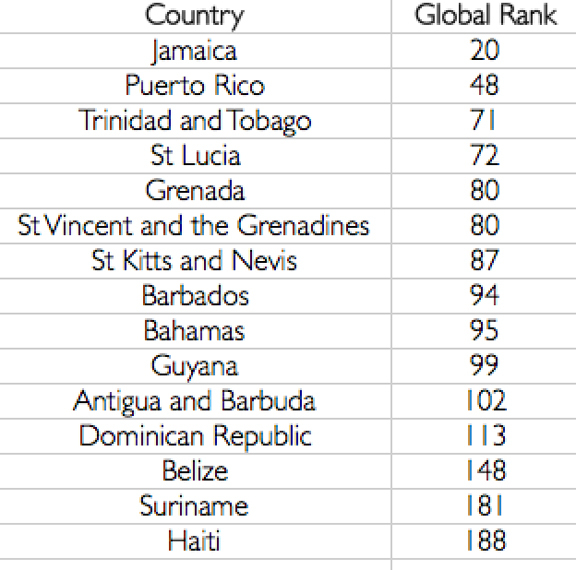 Jamaica was ranked the top country in the Caribbean for starting a business and 20th in the world. Followed by Puerto Rico who was ranked 48th worldwide. In Jamaica it took about 15 days to start a business, a number that was mitigated by a very low number of procedures, among other factors.